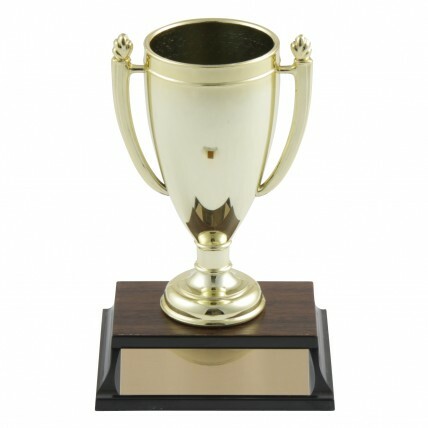 The Small Plastic Loving Cup Trophy is the perfect reward for any occasion. This classic cup trophy features a gold colored plastic loving cup attached to a simulated walnut base. Includes 3 lines of engraving.